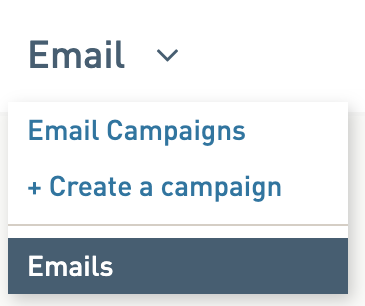 Labels are used in place of folders to categorize your campaigns, email templates, and subscriber lists. Items can have as many labels as you’d like. 2. Type in a short name in the upper right input box. 3. Click Create. Your new label will be added. Your label is now available for you to apply to any campaign, template, or subscriber list. 2. Select your template by selecting the checkbox to the right of the name. 3. Click on the gear icon to see your labels. 4. Under "Apply label" select the labels you want to apply. You'll also see "Remove label", if you haven't applied a label yet to your item you won't see anything show up under this name (once you have applied a label you will see that label show up here for removal. 4. The page will refresh and the label will be applied to your template. 3. Select the check box to the right of the label(s). 3. Go to the Actions drop-down and select Delete. Your label will no longer appear in the list and the label will be removed from all associated items.